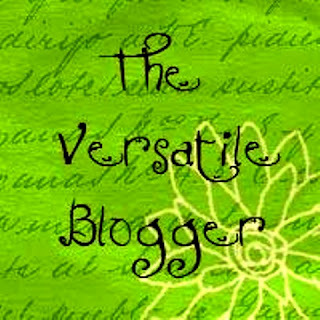 Thank you, Sarah, from Not On My Own Anymore for presenting me with the Versatile Blogger award! 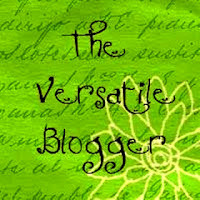 Versatile Blogger...this pretty much sums up the spirit of Mamarific. To be Mamarific is to be multi-purposed, constantly multi-tasking and able to switch gears at the drop of a hat. That describes most mamas I know! Christie at Outlaw Mama - Raw, honest, humorous, thoughtful, well-written. Christie is all of these and more. A must-read for any mama struggling with finding her way in the world of perfect mommies and children, all while pondering the meaning of life and fighting a mean Costco addiction. Jennifer at Just Jennifer - Love her voice. Love her honesty. Reading her blog makes you feel like you've joined a BFF for a cup of coffee on a rainy day while the kids are at school. Christine at Chronically Chrissy - From thoughts on parenting a child with learning differences to reflections on cancer, Christine takes us everywhere with her, and we're better for it. Stacie at Snaps and Bits - I always find something here to like. Whether she's writing about her own personal experiences or sharing a bit of fiction, there is something for everyone. Jennifer at Treading Water in the Kiddie Pool - Jennifer is an expert at weaving the everyday occurances, especially those with her kids, into life moments that stick with you. One of my must-reads. And although she's not a typical blogger, but more of a writer who blogs, you must check out Virginia Boecker. She writes Young Adult fiction, and I was fortunate enough to read a draft of her first novel, The Witch Hunter. Remember her name, because I predict you will be hearing it in the future. So, whether or not you ladies want to grab that little piece of blog bling is entirely up to you. It may not go with the clean look of your blog design, which I totally understand. But the die-hard Texas girl in me considers blog awards like David Yurman bracelets, so I'm stacking on as many as'll fit. Cheers to being versatile! Sounds a lot better than schizophrenic, eh? Sentence fragments rock! I am proud of you. And I appreciate the shout out, even though my knowledge base is rooted in grammar and alcohol! Well, I'd say those are two of the most important things in life! :) I am proud of YOU for helping us with our grammar in a fun way. You're welcome! Hoping for a get together soon! It has been a crazy Fall for us, so far. Thanks Jennifer, you made my day! Sorry about the grammatical errors. Nice for you to drop by at my blog Jennifer. Those are awesome Mommas in your list. Will check them out as well.